Sorry, this entry is only available in Español and Catalan. In the morning, pick up at the hotel and departure to Nuwara Eliya, situated at 1815 meters, and during the Colonial era a military sanatorium and spa, where British residents on the island spent their holidaysto avoid the heat.In this town surrounded by tea estates and considered to be the Garden of Sri Lanka, colonial vestiges can still be seen in its Victorian and Tudor style mansions and its polo field. 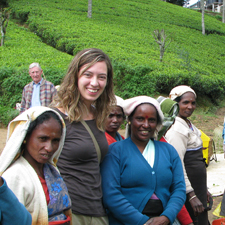 Driving along the estates where the renowned Ceylon tea is grown and plugged, arrival in Nuwara Eliya. Including: transport, guide and visits.